The DEATHY exhibit was in place from August - October, 2015. 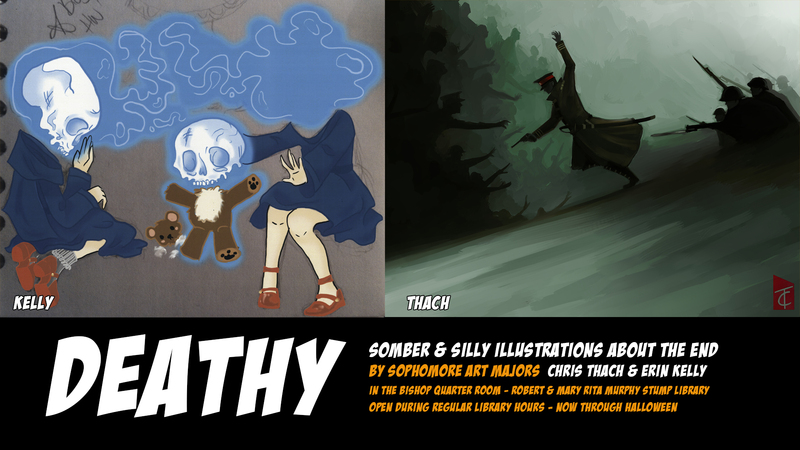 "DEATHY: Somber & Silly Illustrations About the End"
was composed of works by two Sophmore Art Majors. Chris Thach. Ode to war : Mister Whimsy, 2014. Erin Kelly. Read me : Bees?, 2015.